Emergency services, security personnel, NGOs, and other first responders who support civil emergency situations can benefit from improved communications through the integration of satellite connectivity with existing terrestrial infrastructure. This article explains why a hybrid technology approach can help improve operational efficiencies, while enhancing safety for both the public and emergency response personnel. Currently, the topic of emergency communications is high on political agendas everywhere—with constantly increasing pressures being placed on emergency and security services including counter-terror activities, regulators are wisely exploring how new technologies can improve emergency services operations and enhance communications capabilities in areas with limited or unreliable alternative infrastructure. The role of commercial mobile/cellular providers in the overall solution is a key aspect of this discussion, especially considering that such networks are already frequently used by police, fire and ambulance personnel to augment radio or land-based communications infrastructure. However, few nations anywhere can accurately claim to have ubiquitous cellular coverage. For cellular network operators in almost any country, there are many areas within a nation’s borders and coastal waters that are simply uneconomic to equip with terrestrial infrastructure that would guarantee total uninterrupted coverage. Furthermore, disasters are not limited to areas with communications infrastructure. As all witnessed during the UK’s flooding crisis during the winter of 2015/16, heavy storms can rapidly disable land-based telecoms infrastructures. The US’ own 'Snowmageddon' also underlined that terrestrial communications networks can be one of the first casualties of damage to power lines. Currently, emergency services tend to rely on a mix of commercial mobile networks that include LTE (long-term evolution) / 4G, 3G and 2G based communications networks as well as bespoke network technologies such as TETRA in the UK. However, the simple technological fact is that none of these terrestrial-networks delivers 100 percent coverage. Even if you move beyond urban centers, cellular signals can drop or disappear—and rather suddenly. Most have experienced the frustrating and sometimes terrible feeling of not being able to get through on our cell phones due to poor signal, especially during an emergency. “Network Unavailable” is the last message you want to see on your phone in a time of crisis. The same goes for first response professionals attempting to provide emergency support to the public. During a major crisis, terrestrial communications networks can simply be overloaded with the sheer volume of call traffic generated by emergency responders, local organizations and agencies as well as the general public. But the additional threats to the integrity of terrestrial communications infrastructure resulting from natural as well as man-made disasters certainly can add an additional dangerous dimension to any emergency situation which can already be chaotic, frenzied and even explosive. When this happens, certain communications traffic management priorities automatically kick in to ensure that only the most essential communications are served. This may result in a significant number of calls failing to connect or being knocked off the network to give priority to pre-identified agencies. The risk is that those failed calls could be from individuals in danger. Furthermore, after a disaster, if people are unable to reach out to family and friends, nor are capable of contacting key authorities to warn them of imminent local dangers, this can add significant anxiety to stressed, even panicked, members of the general public. The November 2015 terrorist attacks in Paris, and more recently those in Brussels, further highlighted the need for continued mobile network availability during major incidents. Fortunately, there is a communications solution that does not rely exclusively on terrestrial radio or cellular/mobile networks, but one that can offer a highly valuable backup to infrastructure in situ. We believe the answer is to integrate Direct-to-User (DtU) satellite communications into existing terrestrial infrastructures, providing extended reach and reinforcing land-based networks. By embracing this approach, governments and authorities can ensure that emergency services providers, as well as important local and national agencies, have the connectivity they require. Importantly, this multi-technology approach will also facilitate communications for the general public, providing citizens with support after a major incident. Globalstar has teamed up with Manx Telecom, a pioneering communications provider and mobile operator based on the Isle of Man in the Irish Sea, to create EMN, Extended Mobile Network, the world’s first integrated cellular and DtU satellite network. EMN incorporates Smart SIM technology developed by Manx Telecom. With Smart SIM, if a caller—for example, a police officer—moves out of coverage of the network he or she is currently using, the call can be dynamically routed to another carrier without disrupting the call. If no other cellular network is available, then the transmission or call is automatically switched onto the Globalstar satellite system. Globalstar’s Low Earth Orbit (LEO) satellites fly at 1,400 km above the Earth and, therefore, experience less signal latency, or delay, than constellations resident in other orbits. Furthermore, with multiple satellites speeding across the skies in LEO at any given point, one, two or more satellites typically are visible. This results in high levels of reliability and minimizes the potential for calls and signals being dropped. The technical configuration of a LEO network also means lower service cost compared to other satellite solutions. First responders, including police and other ‘blue light’ organizations, most urgently need networks that they can rely on, wherever they are, 24/7. This means that the first service to use EMN is in support of emergency services—this is called First Responder Auxiliary Network, or FRAN. With FRAN, first responders and other emergency support organizations, can take advantage of this new, powerful, integrated network to communicate reliably, with their existing off-the-shelf devices, including smartphones—and using their same phone numbers. With this architecture, any emergency call can be delivered using reliable and ubiquitous satellite coverage, directly to the user, wherever they are. At the heart of EMN is a customized version of Globalstar’s Sat-Fi satellite hotspot product which can be installed in any emergency vehicle, or indeed in any remote location where people absolutely need to communicate without fail. Manx Telecom and Globalstar are collaboratively kicking off pilot system trials of FRAN in the UK, supported by specialist wireless technology consultancy Intelcomm and complementary technology providers, as well as parties from the emergency services community. The aim is to demonstrate how FRAN can deliver never-before-seen levels of communications reliability and reach for these important professionals. First responders, NGOs and other emergency support organizations of many kinds are already well aware of the benefits of reliable satellite communications from Globalstar. This group includes firefighters in Canada, the US, Chile, and Spain, military and civil support organizations based in the US and beyond, and also international relief agencies such as Disaster Tech Lab which is currently providing much-needed support to desperate and displaced people involved in the current European / Middle East refugee crisis. 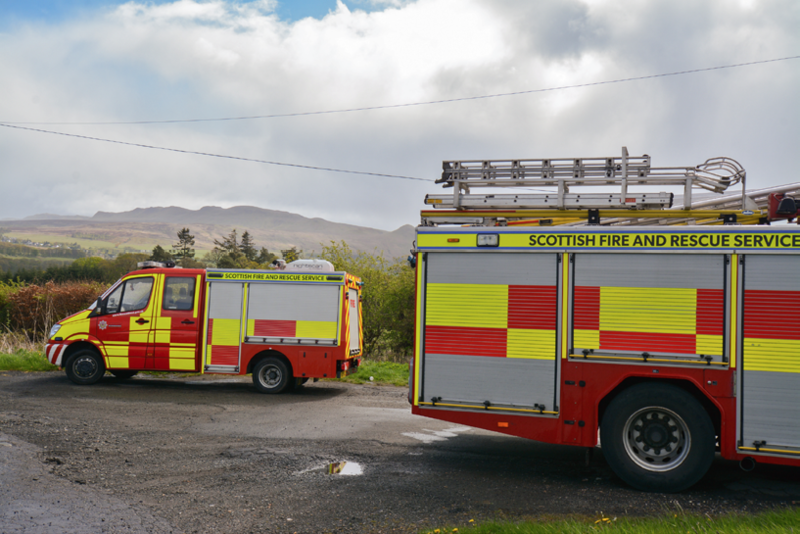 By integrating legacy and future land-based infrastructure with satellites orbiting the Earth, emergency services have the chance to benefit from always-on, reliable and ubiquitous communications capability right across the UK—in fact, the same applies to almost any country’s landmass. 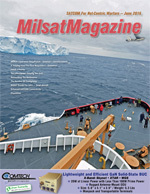 In addition to this, unlike conventional terrestrial alternatives, satellites can deliver reliable coverage offshore, enabling seamless communications for the coastguard, police and other rescuers across islands and coastal waters. With every new emergency situation, first response teams need to quickly assess what is required and to deploy the crew and equipment to the right places at the right times. When multiple agencies are co-ordinating rescue and recovery operations, they need to be able to communicate reliably and speedily. Remotely working emergency support personnel, even in semi-suburban areas, require a better communications system, one they can completely trust, rain or shine, and that enables an always-on link with colleagues. Globalstar believes that satellite-based solutions such as EMN can play a major role in helping these professionals carry out their important jobs more efficiently and safely. With EMN, the aim is to help ensure that emergency services, NGOs and other first responders, can always count on being connected, wherever they are located. Gavan Murphy is the Director of Marketing, EMEA, at Globalstar. Based in Globalstar’s European HQ in Dublin, Gavan is responsible for the development and implementation of Globalstar’s marketing strategy across the European, Middle Eastern and African regions. He spearheads the marketing of Globalstar’s consumer products, including the SPOT tracking solutions portfolio, as well as the B2B marketing of voice and data solutions for a range of vertical sectors including maritime, energy, safety and security, commercial fishing and shipping, construction and heavy industry and the burgeoning M2M sector. Prior to joining Globalstar in 2008, Gavan worked with leading global mobile provider Vodafone.